I love the fact my job as a web and graphic designer allows me to indulge my creativity but sometimes it is fun to apply those creative skills to something completely different. 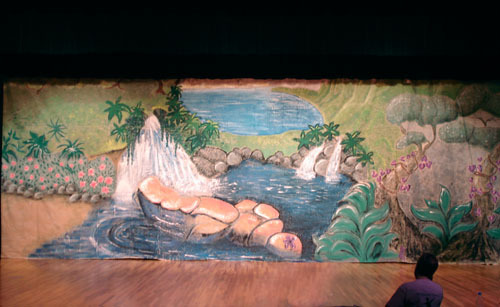 I brought my painting talents to this backdrop for Wildwood Dance and Arts. It was completed this afternoon and will feature in a dance production of Peter Pan this Saturday, May 16th at Chesterfield YMCA. There are two shows at 2.30pm and 7pm. Tickets are available on the door.